Hosted by Todd Kersey. The show you’ve been waiting for! Call in and join our guest and voice your opinion on offshore, in-shore and now freshwater fishing. 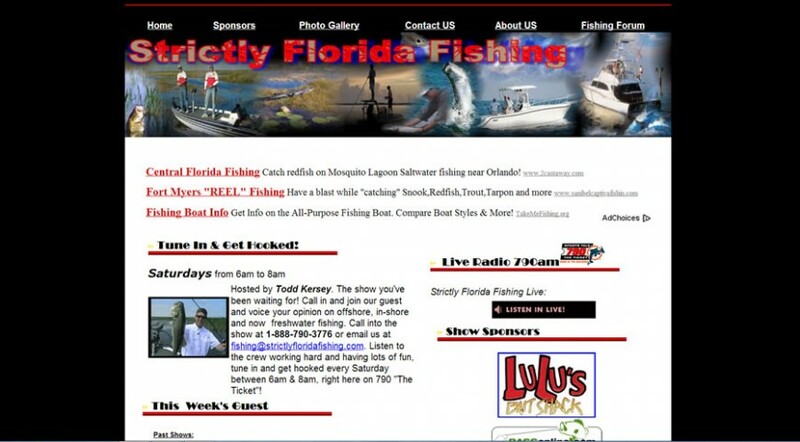 Call into the show at 1-888-790-3776 or email us at fishing@strictlyfloridafishing.com. Listen to the crew working hard and having lots of fun, tune in and get hooked every Saturday between 6am & 8am, right here on 790 “The Ticket”!